Jose Ramirez homered for Cleveland, which snapped a own three-game skid. Bauer (2-1), a right-hander, gave up five hits, walked three and struck out eight. 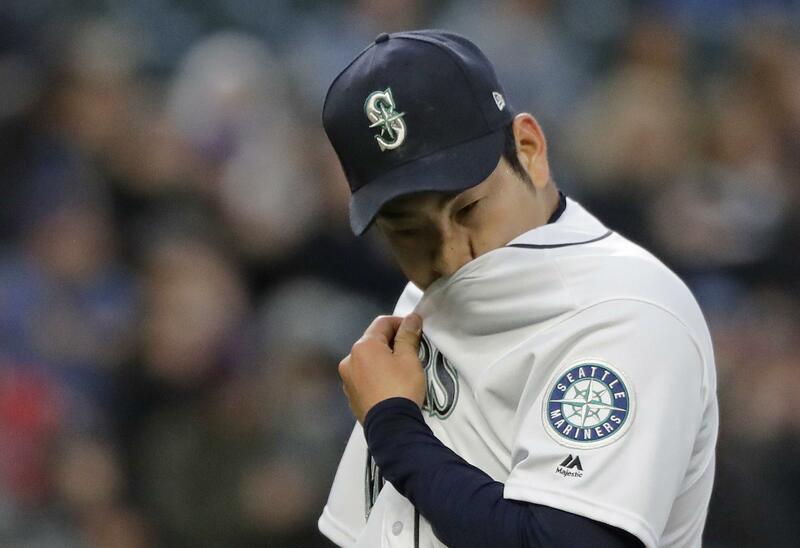 M’s lefty Yusei Kikuchi (0-1) turned in a quality start, but still suffered his first major league defeat. Kikuchi went six innings, allowing three runs on five hits. He walked three and struck out one. The Mariners made a game of it late after trailing 5-1 through 7 1/2 innings. Omar Narvaez and Edwin Encarnacion homered in the bottom of the eighth to pull Seattle to within a run. Players on both teams wore No. 42 to honor Jackie Robinson on the anniversary of his breaking the color barrier in baseball. … M’s manager confirmed rookie RHP Erik Swanson will start Wednesday afternoon against Cleveland in the series finale. Swanson will start in place of LHP Wade LeBlanc, who is expected to miss about four to six weeks with a Grade 2 strain of his right oblique muscle. 19: Consecutive games to open the season in which the Mariners have hit a home run, a major-league record. Yes, the Mariners have had trouble scoring over the past three games, getting only four runs against the opponents’ starting pitchers. But look at who they’ve been going up against. Houston’s Justin Verlander and Gerrit Cole and Cleveland’s Trevor Bauer finished second, fifth and sixth, respectively in last season’s American League Cy Young Award balloting. The M’s are lucky the Indians’ Corey Kluber, who was third in the Cy Young race, pitched Sunday in Kansas City. The M’s continue their three-game series with the Cleveland Indians at 7:10 p.m. Tuesday at T-Mobile Park. Indians RHP Shane Bieber (1-0, 1.80 ERA) is scheduled to face M’s RHP Mike Leake (2-0, 4.15). Published: April 15, 2019, 11:25 p.m. Updated: April 15, 2019, 11:50 p.m.